Mental health disorders in children and young people are increasing, with one in four under-16s experiencing mental health difficulties which will disrupt relationships, education and work. In addition to this, one in ten under-16s suffers from a diagnosed disorder. Access to up-to-date research and appropriate interventions minimises the mental health challenges these children and adolescents face and reduces their potentially lifelong impact. It has been internationally recognised that the scale of mental health research is low in relation to the burden of the disorder. 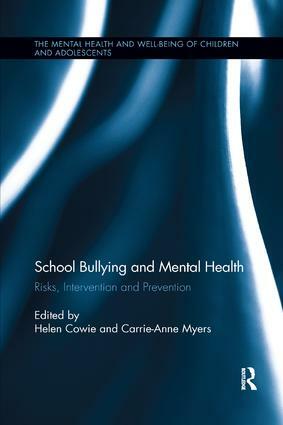 This research-focused series will consist of titles that consider key issues affecting young people’s mental health and well-being, exploring preventative measures, promoting positive behaviour, and sharing research to develop effective and efficient treatment. Aimed primarily at researchers and postgraduate students, this series will also be of interest to practitioners in the mental health field, such as psychologists, and some in the field of education, such as counsellors, who would like to implement research-based findings in their clinical practice.